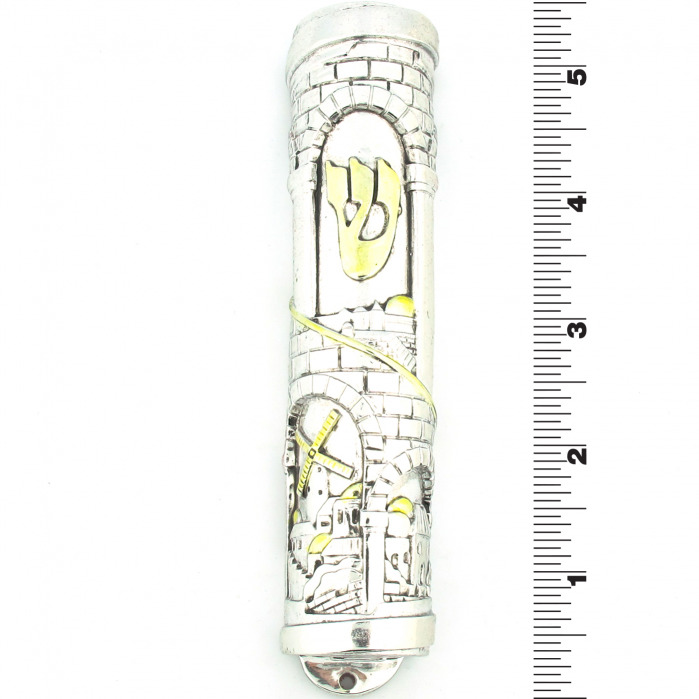 The Jerusalem Arch Mezuzah from Art Judaica paints a classic Jerusalem scene in silver with strategic gold highlighting. 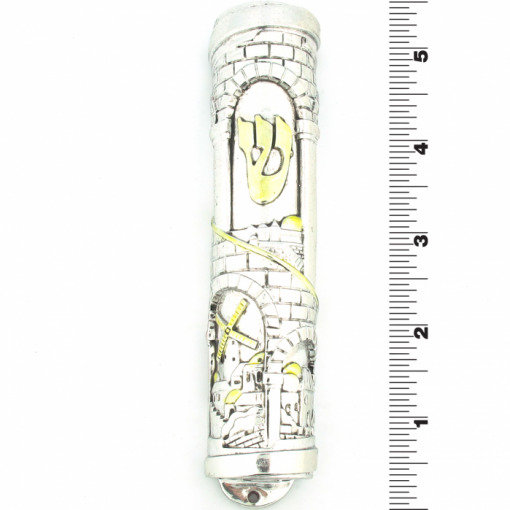 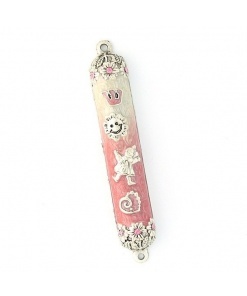 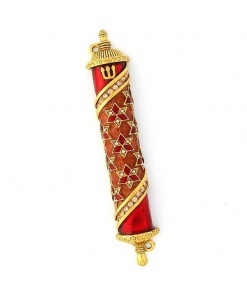 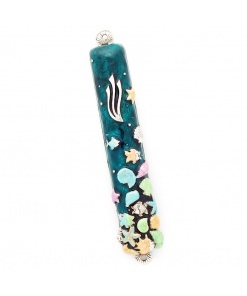 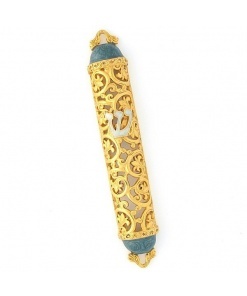 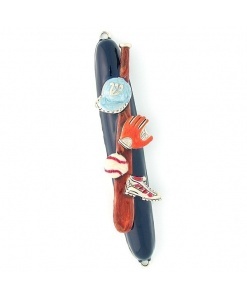 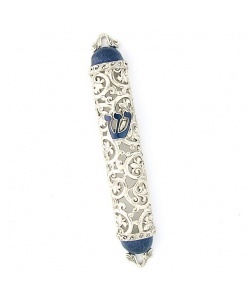 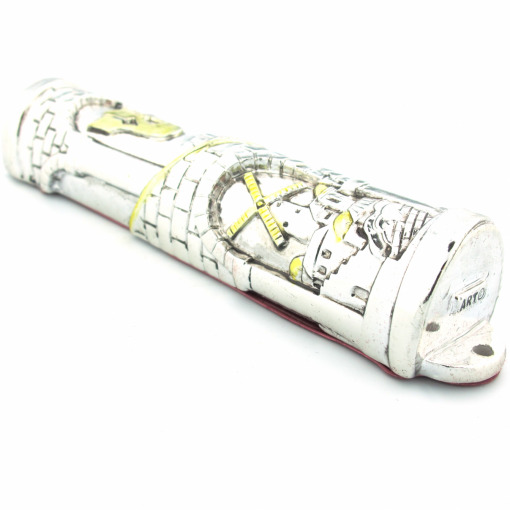 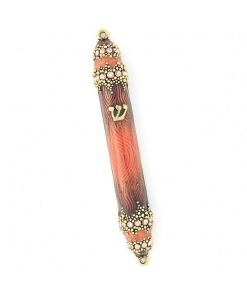 This mezuzah has the look of real silver at an affordable cost. 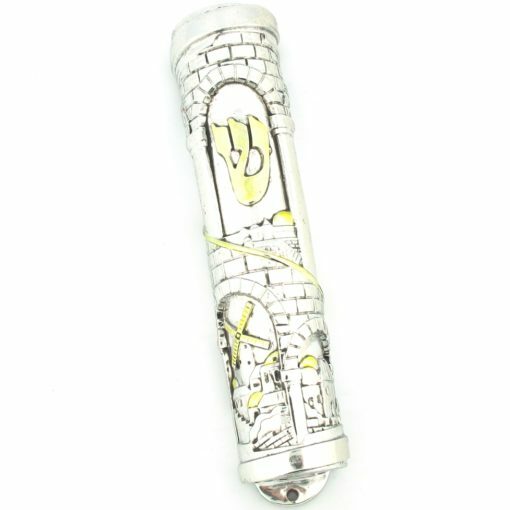 The detailed images of Jerusalem revive fond memories of a trip to Israel and reflect the owners proud heritage.